I thought I’d just briefly share this image with you all and give you a quick heads-up for some sights to look out for in the night sky at the moment. 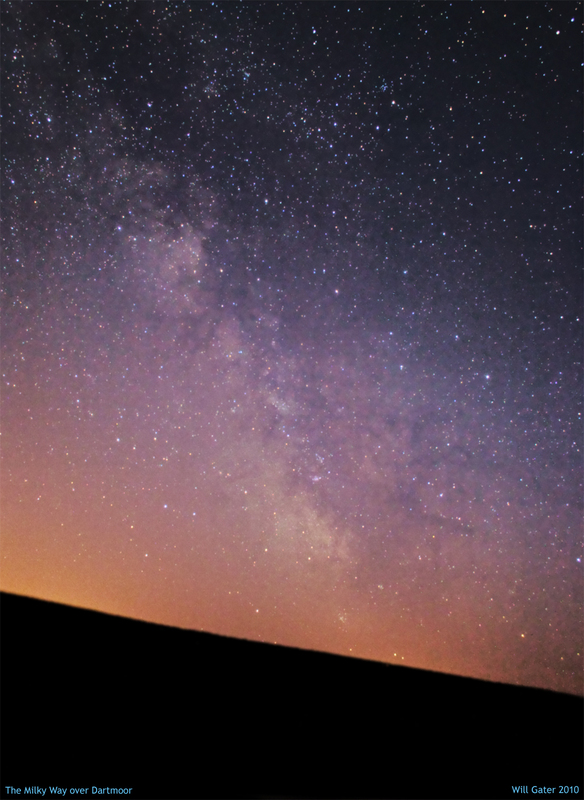 I took this image last weekend from one of my favourite dark sky sites on Dartmoor. It shows our galaxy, the Milky Way, towards the constellations of Sagittarius and Scutum. I particularly wanted to mention this as the next few weeks are a good time for any of you in the UK, with a clear southern horizon, to look out for the lovely celestial objects on show in this part of the sky. To help you find the objects — such as the wonderful and bright Lagoon Nebula as well as several fine clusters — I’ve posted a labelled (but slightly cropped) version of the image below. This part of the sky can be found by looking for the famous ‘Teapot’ asterism (labelled) in the south around midnight. Pretty much all of the objects I’ve marked make good small telescope or binocular targets. So, if you’re out observing anytime soon, have a look for some of them. Stunning Picture Will, Thanks for the heads up, I see what I can find next time I’m out.